Line Breakpoints, Exception Breakpoints, Method Breakpoints etc. In the below screenshots, Red circle symbol denotes the breakpoints which are in line no. 4 and line no. 8. 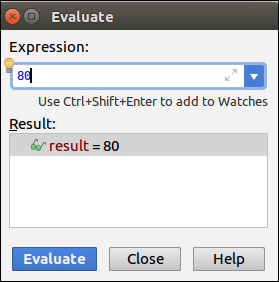 Go to Run->Evaluate Expression. Dialog box open. Start application in debugging mode. 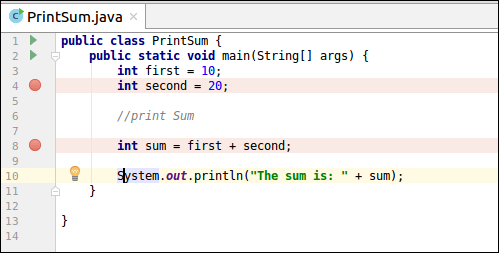 This action will continue the execution of program by ignoring all breakpoints in the program. 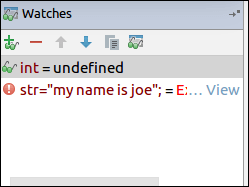 Type the variable in Watches pane which we want to open in the Inspection Window. Now, select variable, right click on it. A context menu open, choose Inspect. Below screen will appear.